Larry Anderson, known widely as an avid lover of learning, is a former junior high school Industrial Arts teacher, a middle school Principal, and a recently-retired university-level teacher educator. Anderson was the primary architect of the graduate degree program in Instructional Technology at Mississippi State University. He is an author, speaker, leader, motivator, and mentor to many in the United States and abroad. His greatest area of pride, though, is in being known as a good husband, father, and grandfather. Dr. Anderson’s instructional emphases are in the areas of preservice teacher education, instructional technologies, and leadership development. A long-time innovator with educational projects, he has founded numerous organizations and provided leadership roles in a variety of professional associations. In the late 1970’s, Dr. Anderson co-founded “Apple-SWAP,” an international public domain software clearinghouse, in the early days of microcomputing so that teachers could have easy access to a vast collection of inexpensive computer programs. Educators around the world attest to this having been one of the most beneficial stimuli ever to the integration of technology into instruction. He was co-founder and the initial President of MECA (Mississippi Educational Computing Association), the only official professional association in Mississippi devoted specifically to the needs of classroom teachers and other educators at all levels. Recognizing the acute need for a worldwide forum in which preservice teacher education majors could discuss topics germane to their study, he founded PreSTO (Preservice and Student Teachers Online), an immensely successful Internet discussion group. Dr. Anderson’s dissertation, The Relationship Between Implementation of Instructional Computing in Selected School Districts and Administrative Computing Literacy of Superintendents in Selected School Districts, served as the primary catalyst for national technology planning efforts and his subsequent founding and establishing of the National Center for Technology Planning (NCTP). Dr. Anderson now devotes his energies full-time to NCTP, developing and promoting sensible solutions for schools and other agencies that use technologies for advancement. He was appointed by the Mississippi Governor to membership on the Council for Education Technology, an advisory group formed by the Mississippi Legislature. In 1994, Dr. Anderson was elected as the first Chairman of the Council and served in that position until June 2004. In that role, he provided leadership in developing the Mississippi Master Plan for Educational Technology, the state’s technology plan. 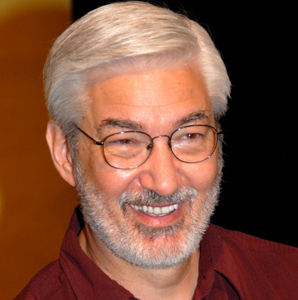 He was a partner in the first interactive videodisc production project at Mississippi State University and was a member of the team that produced the first videodisc made by any educational institution in Mississippi. Dr. Anderson has been recognized for his interests and work in the fields of interactive instructional design, with emphasis on multimedia and hypermedia applications, including graphics-based publishing on the Internet. He focuses on pragmatic infusion of technologies into schools and other instructional environments. In recognition of his bold leadership in educational technology on a national level, Apple Computer named him an “Apple Distinguished Educator” in 2000–the first time such an award had been made to a higher education representative in Mississippi. Fast on the heels of this award, another highly prestigious award was accorded to Anderson–the naming of him, along with such luminaries as Former Secretary of Education Richard Riley, astronaut Senator John Glenn, and author Stephen King, by eSchool News as a member of the “Impact 30,” a group of the thirty people who most impacted educational technology in the entire United States. Anderson has been aggressive in his attempts to help people in multiple “walks of life” learn how to use the World Wide Web more effectively. In recognition of his dedication to this mission, he was selected by the Global Information Infrastructure (GII) Awards Program committee to serve as a judge for this world-renowned competition. In this role, he had the responsibility of evaluating the top web sites in the world as entrants to receive the prestigious GII Award. Dr. Anderson’s experience in teaching basic and advanced courses in web design at Mississippi State University contributed, also, to his being selected as a judge for this program. Recognized by his peers for broad-based leadership skills, he was elected to serve as a member of the Board of Directors for the International Society for Technology in Education (ISTE), the world’s largest professional “user group” dedicated to the advancement of technology-oriented solutions in education. Anderson serves on multiple advisory boards, including: Open Learning Agency (British Columbia); Benton Foundation (Washington, DC); eSchool News; and WorldNet Technologies. Besides being known as a good husband, good father, and good grandfather, Dr. Anderson is most pleased to have been given the nickname, the Johnny Appleseed of Technology. Hello Dr. Anderson. I was one of your students and I will never forget your instructions and wisdom you shared. Enjoy retirement. I am also enjoying it.